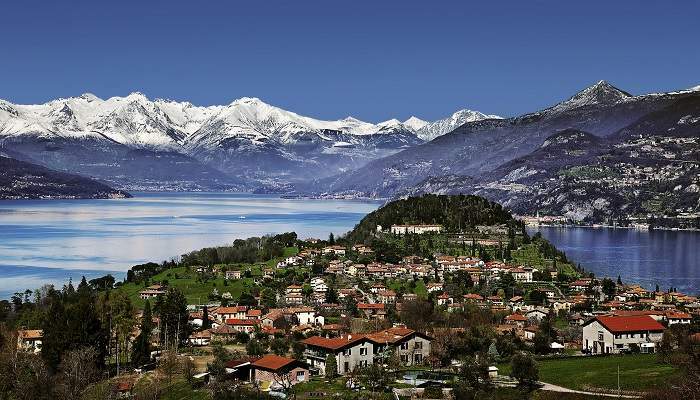 While the UK’s Lake District has but one lake, Italy has several, dotted close to its border with Switzerland. 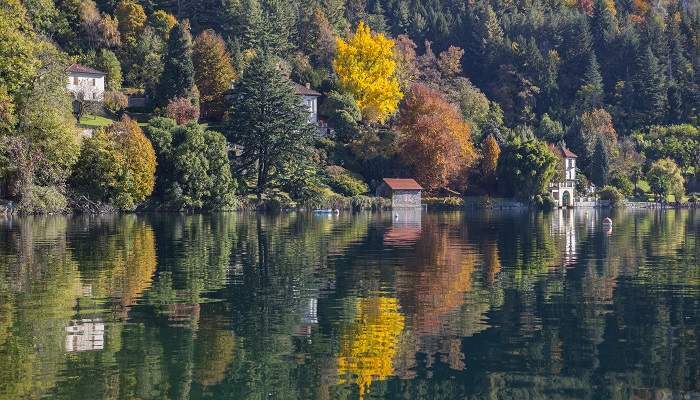 With the Alps rising dramatically behind them, and ancient villages lining their shores, the lakes are magnificent holiday destinations no matter the season. In fact, it’s been a popular holiday destination for Italians since Roman times, and many towns have Roman ruins as proof. Throw in cobbled streets, celebrity sightings (ciao, George Clooney!) and hearty northern Italian food, and Italy’s lakes are near-unbeatable holiday destinations. You’ve probably heard Lake Como’s name dropped once or twice – it’s a favourite haunt of celebrities and the wealthy. We can see why. This former glacial lake is surrounded by the jagged, snow-capped peaks of the Alps, with colourful, expansive villas brightening up its shores. Shaped like an inverted ‘Y’, it’s one of the deepest lakes in Europe and has quaint villages sprinkled around its edges. 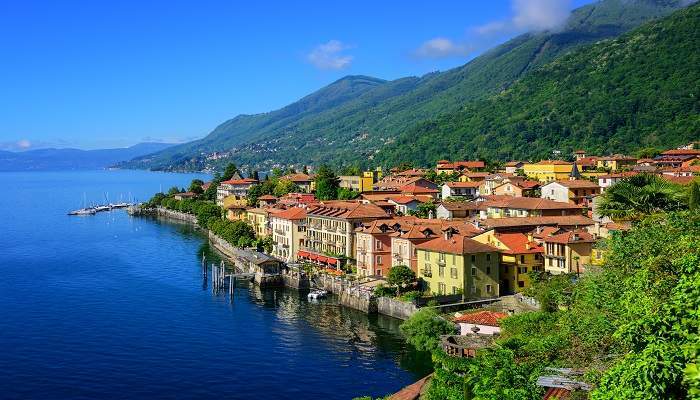 Probably the most well-known of these is Bellagio – said to be one of Europe’s most beautiful towns. Its cobbled streets and charming old town centre ooze glamour, and it’s not unusual to see familiar (famous) faces passing by on expensive yachts. It also boasts some of the best views on all the lake. The town of Como is slightly more cosmopolitan and bustling, while Cadenabbia is one for those who need to escape from the modern world. Many of these towns possess opulent gardens, and villas-turned-hotels that offer jaw-dropping luxury. One of the most extravagant villas, Villa Carlotta, was built at the end of the 17th century and is open to the public, who adore its museum and gardens. The largest and most popular of the Italian lakes, Lake Garda sits at the edge of the Dolomites. With 15 towns and island dotted throughout, the hardest part of your holiday will be deciding where to visit! The north region of the lake has a distinctively Austrian flavour – it was historically part of the Austrian empire, and still retains the feel and flavour of its northern neighbour. To the south, however, it’s all Italian – even down to the olive groves and lemon trees that grow here, which is unusual at such a high altitude. The lake’s windy conditions make it a favourite among sailors, kitesurfers and windsurfers. For a low-key Italian lake holiday, Lake Maggiore might be your best bet. Straddling the regions of Piedmont and Lombardy, and poking through to Switzerland, here the pace is slower, and you’ll likely encounter more locals and Italians from other areas than English-speaking tourists. The majority of villages that stud the lake were established during the Middle Ages, evident in their winding cobbled streets and variety of architectural styles on show. 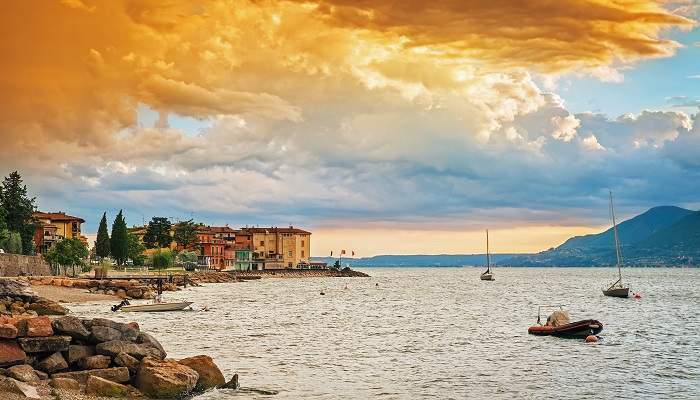 These towns make the most of their spectacular views; bars and restaurants line lakeside promenades, dishing up local produce, Italian-style. The Borromean Islands in Lake Maggiore are a particular point of interest.. A group of three islands and two islets in the lake’s western arm, the islands are named after the family that acquired them in the 14th century (and still own most of them). Isola Bella and Isola Madre are both known for their exquisite gardens and sprawling palaces, while Isola dei Pescatori is the only island currently inhabited. Looking for a lake escape that’s far from the crowds that flock to the other areas of Italy? Lake Iseo might be right up your alley. Edith Wharton once said of the lake that it’s “hidden in the hills like a happy secret in a stern heart”. Its blue waters are surrounded by lush green forest, and there’s only a few main towns. Most of these have lovely promenades, and the typical winding lanes and ancient buildings. There’s not a great deal to see at this lake – it’s seemingly made for slow strolls and relaxing in a square, Aperol spritz in hand. More energetic visitors could take to one of the many hiking trails that thread out from the towns. 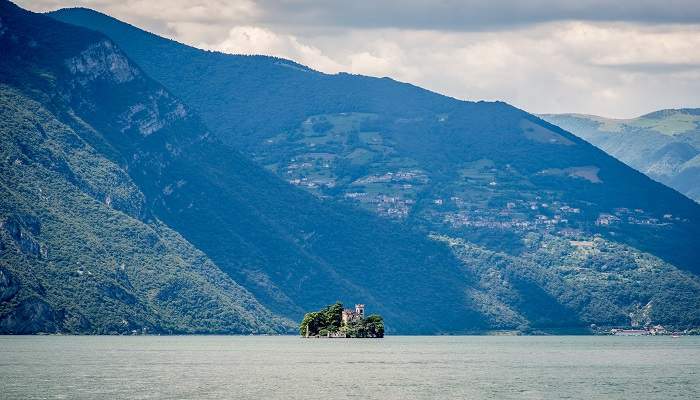 Monte Isola is considered the largest lake island in Europe. It’s car-free, and has 11 small towns spread across it, with a couple of old churches for good measure. Long considered a secret hideaway by the nearby Milanese, Lake Orta is the smallest of the Italian lakes (yet still larger than any lake in the UK!). Renowned for its romance, it has been drawing in writers and poets for centuries, who soak in its beauty and put it down on paper. It’s a little slice of Italy that has remained relatively untouched by modernity, with Romanesque and Baroque architecture sprinkled throughout its little towns. You won’t see too many other tourists here, making it just the place to go for a romantic sojourn. Throw in its teensy candlelit taverns, restaurants serving regional cuisine, and ever-changing weather and light, and it’s a combination that can’t help but stoke flames of love. The Island of San Gioulio is perhaps the most magical of Orta’s secrets. Just the right size for a day or so of wandering, it’s home to a monastery and a lavish basilica.